Petrarch was born in the Tuscan city of Arezzo in 1304. He was the son of Ser Petracco and his wife Eletta Canigiani. His given name was Francesco Petracco. The name was Latinized to Petrarca. Petrarch’s younger brother was born in Incisa in Val d’Arno in 1307. Dante was a friend of his father. 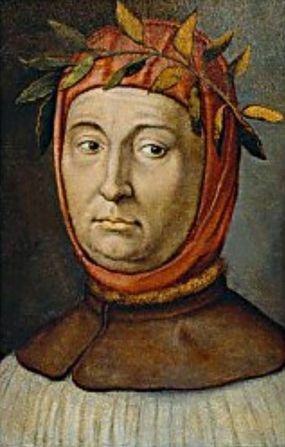 Petrarch spent his early childhood in the village of Incisa, near Florence. He spent much of his early life at Avignon and nearby Carpentras, where his family moved to follow Pope Clement V who moved there in 1309 to begin the Avignon Papacy. He studied law at the University of Montpellier (1316–20) and Bologna (1320–23) with a lifelong friend and schoolmate, Guido Sette. Because his father was in the profession of law he insisted that Petrarch and his brother study law also. Petrarch however was primarily interested in writing and Latin literature and considered these seven years wasted. Additionally he proclaimed that through legal manipulation his guardians robbed him of his small property inheritance in Florence, which only reinforced his dislike for the legal system. He protested, “I couldn’t face making a merchandise of my mind”– he viewed the legal system as the art of selling justice. Petrarch was a prolific letter writer and counted Boccaccio among his notable friends to whom he wrote often. After the death of their parents, Petrarch and his brother Gherardo went back to Avignon in 1326, where he worked in numerous clerical offices. This work gave him time to devote to his writing. 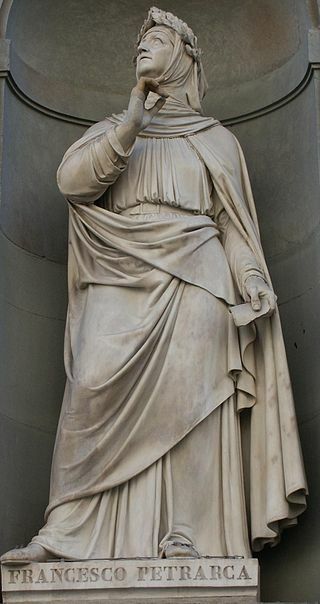 With his first large scale work, Africa, an epic in Latin about the great Roman general Scipio Africanus, Petrarch emerged as a European celebrity. On April 8, 1341, he became the first poet laureate since antiquity and was crowned by Roman Senatori Giordano Orsini and Orso dell’Anguillara on the holy grounds of Rome’s Capitol. Petrarch recounts that on April 26, 1336, with his brother and two servants, he climbed to the top of Mont Ventoux (1,912 meters (6,273 ft)), which he undertook for recreation rather than necessity. The exploit is described in a celebrated letter addressed to his friend and confessor, the monk Dionigi di Borgo San Sepolcro, composed some time after the fact. 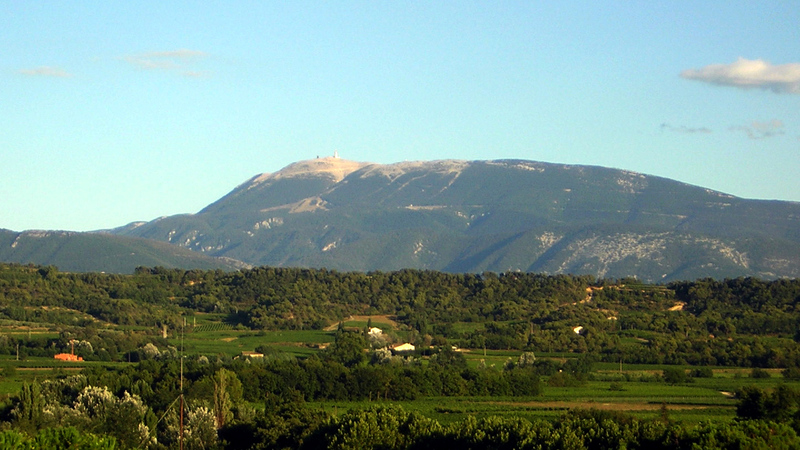 In it Petrarch claimed to have been inspired by Philip V of Macedon’s ascent of Mount Haemo and that an old peasant had told him that nobody had ascended Ventoux before, and warned him against attempting to do so. The 19th-century Swiss historian Jacob Burckhardt noted that Jean Buridan had climbed the same mountain a few years before, and ascents accomplished during the Middle Ages have been recorded, including that of Anno II, Archbishop of Cologne. I closed the book, angry with myself that I should still be admiring earthly things who might long ago have learned from even the pagan philosophers that nothing is wonderful but the soul, which, when great itself, finds nothing great outside itself. Then, in truth, I was satisfied that I had seen enough of the mountain; I turned my inward eye upon myself, and from that time not a syllable fell from my lips until we reached the bottom again. […] [W]e look about us for what is to be found only within. […] How many times, think you, did I turn back that day, to glance at the summit of the mountain which seemed scarcely a cubit high compared with the range of human contemplation. Giovanni died of the plague in 1361. In the same year Petrarch was named canon in Monselice near Padua. Francesca married Francescuolo da Brossano (who was later named executor of Petrarch’s will) that same year. In 1362, shortly after the birth of a daughter, Eletta (the same name as Petrarch’s mother), they joined Petrarch in Venice to flee the plague then ravaging parts of Europe. A second grandchild, Francesco, was born in 1366, but died before his second birthday. 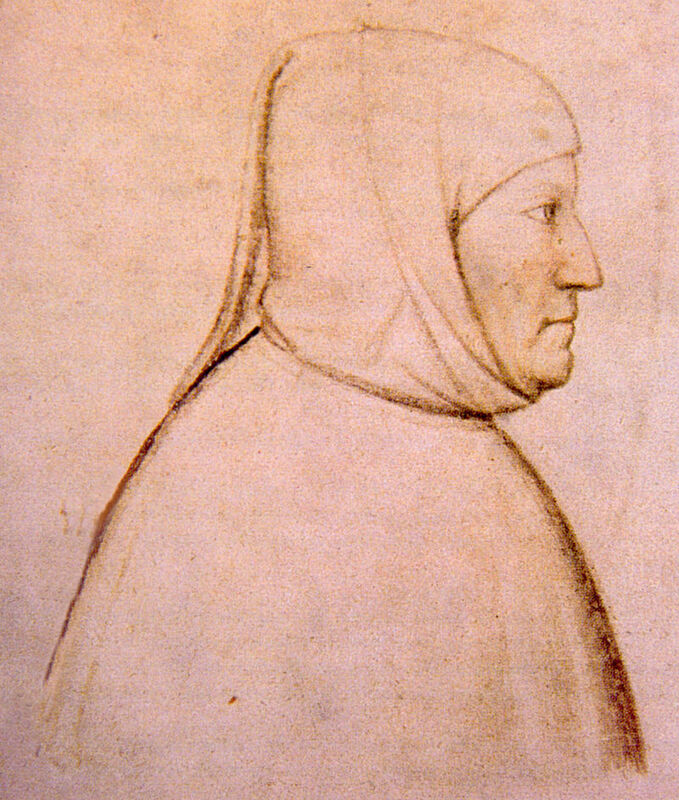 Francesca and her family lived with Petrarch in Venice for five years from 1362 to 1367 at Palazzo Molina; although Petrarch continued to travel in those years. Between 1361 and 1369 the younger Boccaccio paid the older Petrarch two visits: first in Venice, second in Padua. Petrarch’s will (dated April 4, 1370) leaves 50 florins to Boccaccio “to buy a warm winter dressing gown”; various legacies (a horse, a silver cup, a lute, a Madonna) to his brother and his friends; his house in Vaucluse to its caretaker; for his soul, and for the poor; and the bulk of his estate to his son-in-law, Francescuolo da Brossano, who is to give half of it to “the person to whom, as he knows, I wish it to go”; presumably his daughter, Francesca, Brossano’s wife. The will mentions neither the property in Arquà nor his library; Petrarch’s library of notable manuscripts was already promised to Venice, in exchange for the Palazzo Molina. This arrangement was probably cancelled when he moved to Padua, the enemy of Venice, in 1368. The library was seized by the lords of Padua, and his books and manuscripts are now widely scattered over Europe. Petrarch is best known for his Italian poetry, notably the Canzoniere (“Songbook”) and the Trionfi (“Triumphs”). However, Petrarch was an enthusiastic Latin scholar and did most of his writing in Latin. His Latin writings include scholarly works, introspective essays, letters, and more poetry. Among them are Secretum Meum (“My Secret”), an intensely personal, guilt-ridden imaginary dialogue with Augustine of Hippo; De Viris Illustribus (“On Famous Men”), a series of moral biographies; Rerum Memorandarum Libri, an incomplete treatise on the cardinal virtues; De Otio Religiosorum (“On Religious Leisure”); De Vita Solitaria (“On the Solitary Life”); De Remediis Utriusque Fortunae (“Remedies for Fortune Fair and Foul”), a self-help book which remained popular for hundreds of years; Itinerarium (“Petrarch’s Guide to the Holy Land”); invectives against opponents such as doctors, scholastics, and the French; the Carmen Bucolicum, a collection of 12 pastoral poems; and the unfinished epic Africa. He also translated seven psalms, a collection known as the Penitential Psalms. In addition, Petrarch published many volumes of his letters, including a few written to his long-dead “friends” from history such as Cicero and Virgil. Cicero, Virgil, and Seneca were his literary models. Most of his Latin writings are difficult to find today, but several of his works are available in English translations. Petrarch broke radically with the much-praised Dante and his Divina Commedia. In spite of the metaphysical subject, the Commedia is deeply rooted in the cultural and social milieu of turn-of-the-century Florence. Petrarch confessed to Boccaccio that he had never read the Commedia. Probably this was untrue but shows that Petrarch wanted to distance himself from Dante. Petrarch polished (some say “perfected”) the sonnet form inherited from Giacomo da Lentini and which Dante widely used in his Vita nuova to popularise the new courtly love of the Dolce Stil Novo. It was later copied (with suitable changes) by Shakespeare and others outside of Italy. I’m very much on Petrarch’s side in this debate. I live alone and spend my days in writing and contemplation. This life suits me. Of course I venture out to engage with the world when need be, but I am happiest alone. Here’s a 14th-century Italian recipe for “mountain mushrooms” from Libro di cucina del secolo XIV. Toglie fungi di monte, e lessali: e gittatene via l’acquaa, mettili poi a friggere con cipolla tritata minuto, o con bianco di porro, spezie e sale e dà a mangiare. Simplicity itself. I used fresh porcini to make this dish because I had some left over from a trip to the market. I used leeks because I love them. The spices are the only challenge. Cardamom, cinnamon, nutmeg, and cloves were common in 14th-century Italy, but all of them are a little overpowering for me for use with mushrooms that have a strong, but delicate, flavor. 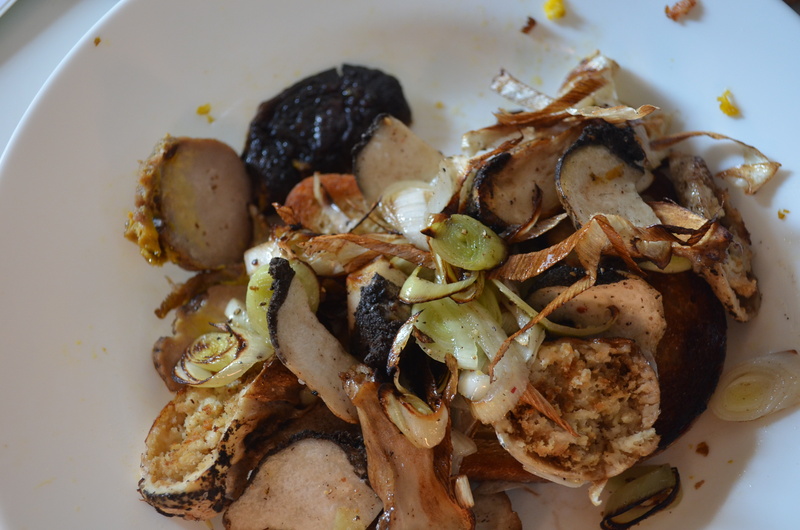 If you are using common agarics (white commercial mushrooms), add what you want. 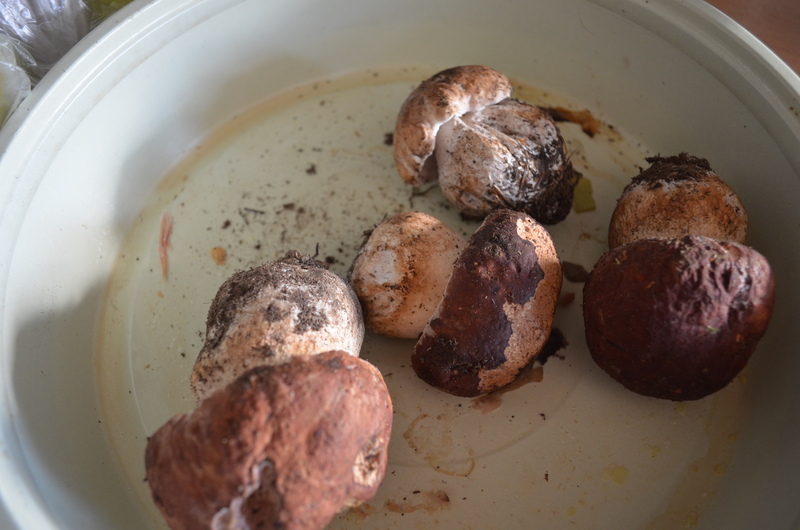 There is no need to boil the mushrooms first. Just roughly slice them and the leeks. Sauté them together over high heat in butter (preferably) or extra virgin olive oil. All I added was a few grinds of black pepper and served them over bread fried in olive oil. Great breakfast.